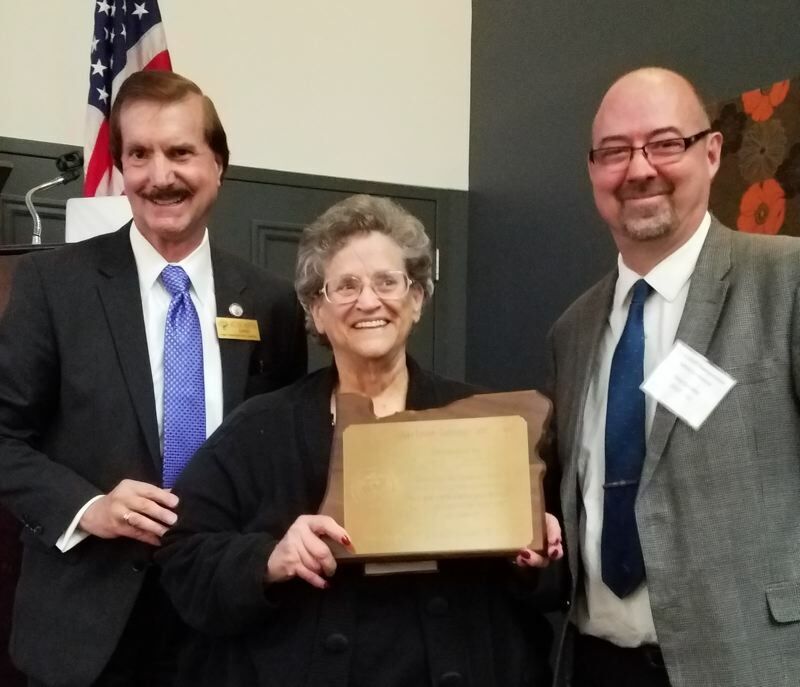 Lynn Chiotti, center, received the Mike Laverty Award in late 2018, recognizing her for lifetime achievements in work relating to improving transportation safety. Chiotti received the award and was recognized at the annual Transportation Safety Conference held in the fall. Chiotti was recognized for her commitment to start a Columbia County Chapter of Mothers Against Drunk Driving, which was formed in 1983, and she sits on the Columbia County Traffic Safety Commission as a representative for MADD, a press release stated. In 1983, the county reported a high of 20 traffic fatalities. "Due in part to her efforts, initiative and continued passion for traffic safety, Columbia County, now averages fewer than 10 fatalities a year, and youth fatalities in traffic crashes is almost zero," the press release added. Chiotti is well-known in traffic safety circles and the 175 conference attendees, including engineers, law enforcement, community educators and traffic safety advocates, applauded her accomplishments and supported her being the award recipient.